Key West Pro Guides, Key West's official, local online booking site, fully endorsed by more of Key West's best captains than any other company. Key West Pro Guides is the authority for top quality, productive and professional fishing charters. * Not Commission Driven. * Not Chasing the Buck. * Tens of thousands of Satisfied Customers. * More Experience than all other Companies. * Tournament Proven Guides * Novice to Expert, Any Skill Level * Over 16 Full Time Key West Fishing Guides * Top Quality Fishing Equipment * 100% Satisfaction Guarantee!! * We represent only Independent Guides * Large Groups to 100 Anglers * Endorsed by more guides than anyone else! GREAT Winter & Spring Fishing in Key West! Key West fishing in the Winter and Spring is an exciting experience. Both the Winter and the Spring months here in Key West bring us great fishing for Sailfish off the reef, Cobia on the wrecks, Kingfish on the ledges and Black Fin Tunas on the deep wrecks to name a few. As the waters of Key West start to cool down, different migrations of fish head our way and the excitement begins. Our Key West fishing guides specialize in live baiting; Pilchards, Pinfish, Threadfin and Blue runners to name a few, see the difference this makes in your action. Call us today to book your trip of a lifetime; you'll be glad you did! Sunset Shark and Tarpon Trips! Picture this, a beautiful sunset, flat calm water, ice cold beer in the hand and a MONSTER SHARK on the end of your line screaming for the horizon! Sound like a blast! How about this, the sun is just setting and all around you, you hear the sound of Tarpon feeding on the surface, your rod tip starts to shake and wham! A 120lb. Silver King launches in to the air, you hooked up! Sunset Shark and Tarpon trips are without a doubt one of the most productive ways to meet up with nature's top predators. Some of the sharks that we fish for include: Bull, Lemon, Hammerhead, and the Black tip. Most of the Tarpon average between 75 and 160lbs. and the Sharks between 6ft to 10ft long. Both of these monsters are pure excitement when hooked up. The combination of live bait and chunk bait fishing ensures success. As the sun sets, the Sharks and Tarpon become very active and start to aggressively feed on the surface and in the shallows. This is when your heart starts pumping and you can expect them to crash your bait any second! These trips run from 5:00pm to 9:00pm and run $500.00. This includes all bait, licenses, rods, tackle and instruction. Key Westâ€™s Cruise Ship Specialists! With more experience than any other charter company in Key West, Key West Pro Guides provides the best fishing excursion, period! We understand the cruise line industries inner workings, schedules and port procedures. Your on a cruise vacation to be taken care of 100%, we extend this service with our professional, experienced and top quality fishing guides. We offer both 4 and 6 hour trips, fishing Offshore for Sailfish, Wahoo, Dolphin or an exciting Wreck and Reef trip for Groupers, Snappers, Cobia, or Tuna. 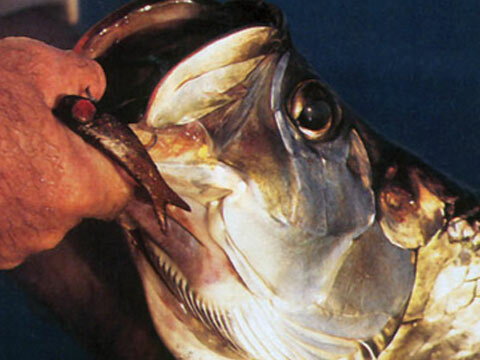 Try a harbor Tarpon trip for the infamous Silver King! Which ever style you pick, we make your trip, fun, exciting and productive. Come experience the outstanding fishing Key West is so famous for! Welcome aboard. Corporate and Group Outings As the largest and most experienced charter company in Key West, Key West Pro Guides has become the first call with many of the biggest corporations in the U.S. for their corporate outings and the preferred choice of groups looking to experience a great fishing adventure. We are very proud to call The Bradley Corp, Cabelas Outfitters, GuardMe Securities and U.S. Smokeless Tobacco, some of our very best clients. Easily handling groups from 1 to 100, we offer all four styles on our group trips; Flats, BackCountry, Wreck/Reef & Offshore. Click our link to the right to see how we can take care of your next event, whether it's a corporate get together, bachelor party or family reunion. KWPG has the resources and experience to show you what true Key West fishing is all about!